For the first time this weekend I entered some cooking in the Bream Creek Show, I knew it would be tough competition with the local ladies who have been entering for years but I was delighted I got a first place for my bread and a third place for my cream puffs. 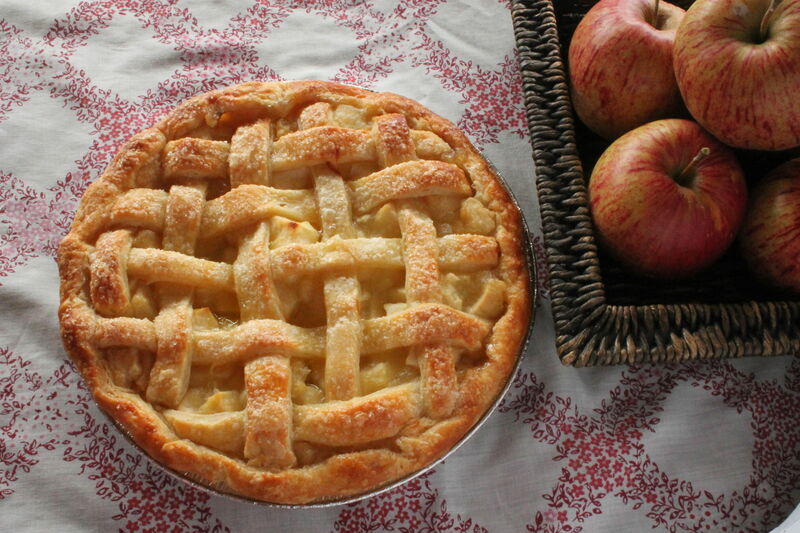 To be honest I was disappointed that my apple pie didn’t get a place, it was the hardest work and the most effort over two days, but when I saw the winners gorgeous pies I could understand why! Homemade puff pastry is delicious, a lot of effort but well worth it for a special occasion, for the filling I used freshly picked (gravasten I think) apples diced and stewed until cooked but firm, I didn’t need to add any sugar only a sprinkle on top with the eggwash before baking, the stewed apples were sweet enough. 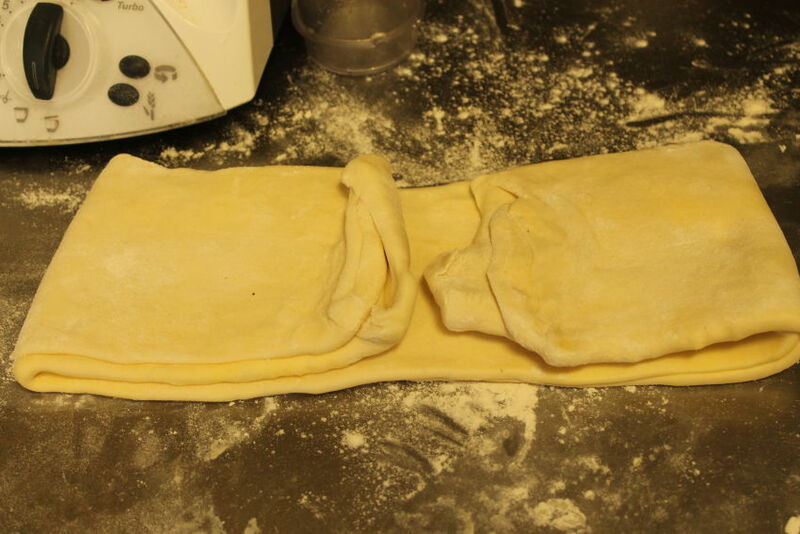 Anyway I have probably only make puff pastry a few times since trade school,( if at all?) unlike bread which I made every day when I had the restaurant open. 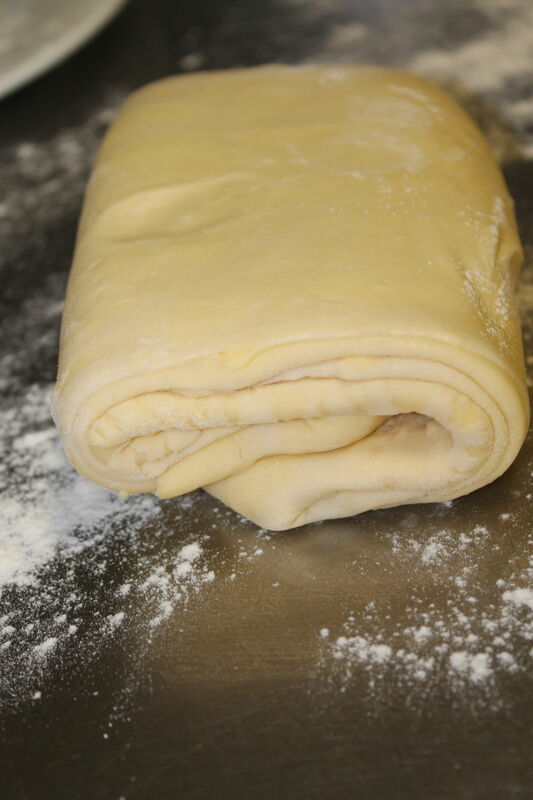 I will have to get some more practice in in puff pastry making over the next year before the next show, I think I will be make a beef wellington with puff pastry and the fillet from the side beef I have ordered from leap farm arrives. 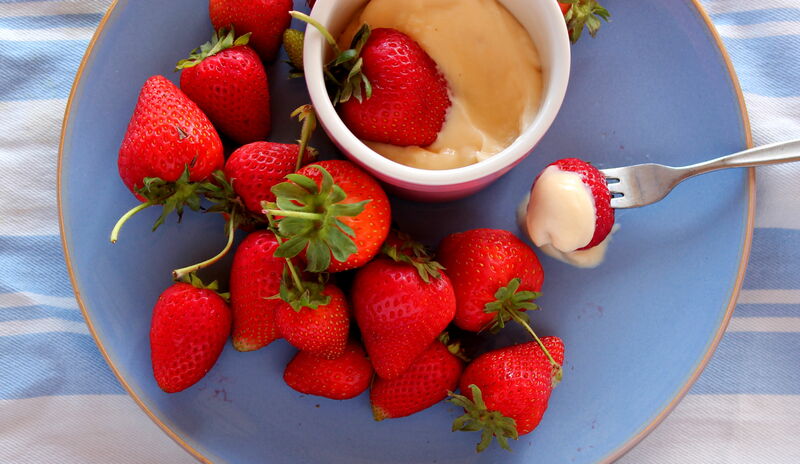 Yuuumm I’m excited thinking about it. 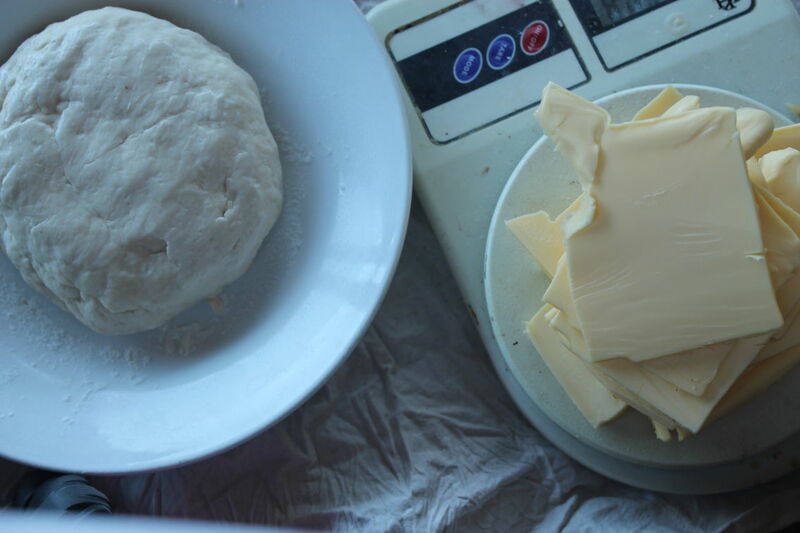 Place the flour and salt in a large bowl Add the water and juice and mix stir until a dough forms. 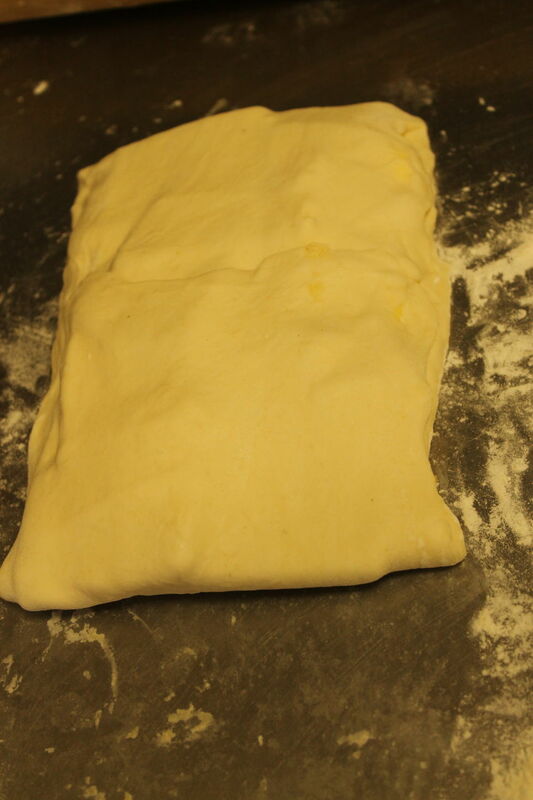 Turn dough onto a lightly floured surface and gently knead until just smooth. 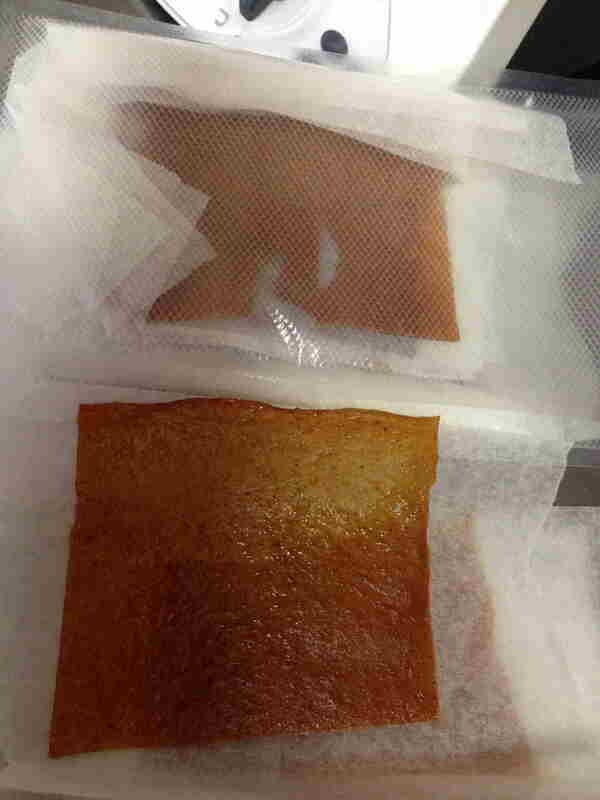 Cover with plastic wrap and place in the fridge for 30 minutes to rest. 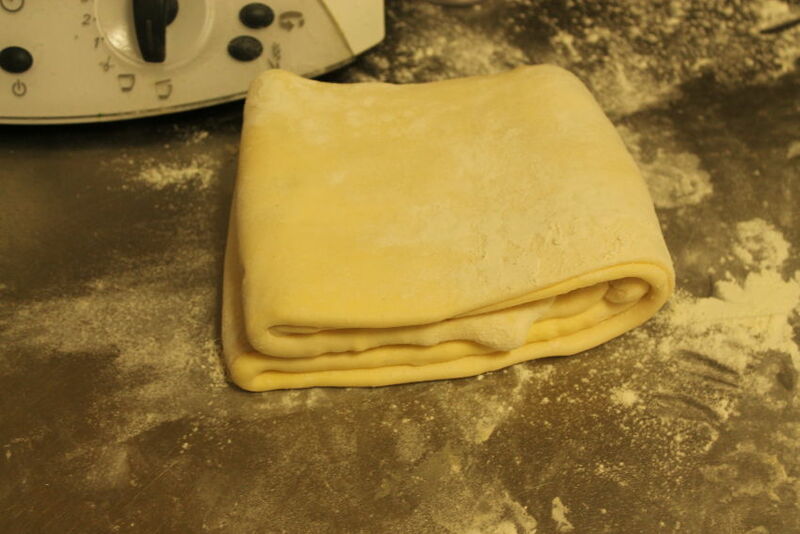 Roll the dough to a 10 x 30cm rectangle. 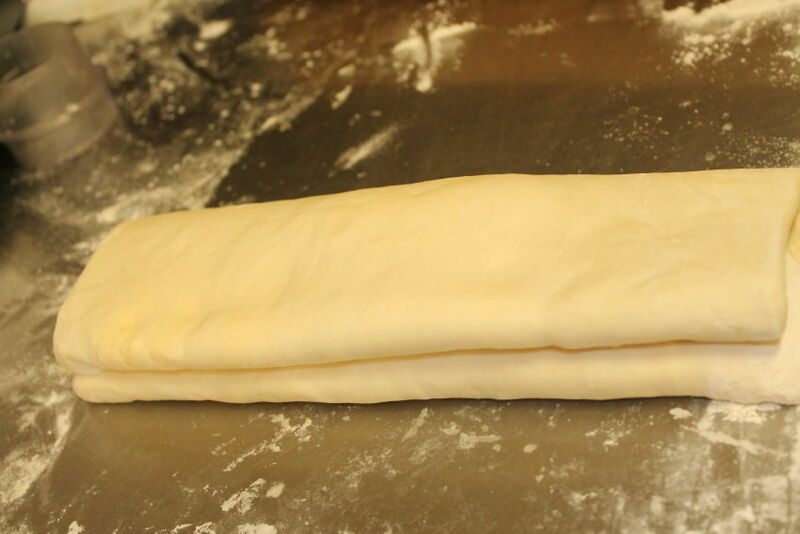 Lay dough on a lightly floured surface with a short edge closest to you. 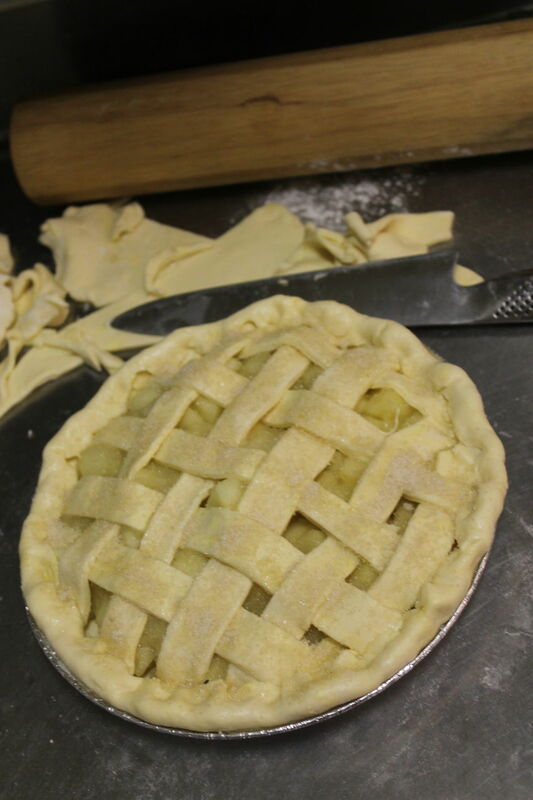 slice or squash the butter onto the middle third of the pastry. Fold the end closest to you over the butter, then fold the opposite end over the top (the butter should now be enclosed in the dough). 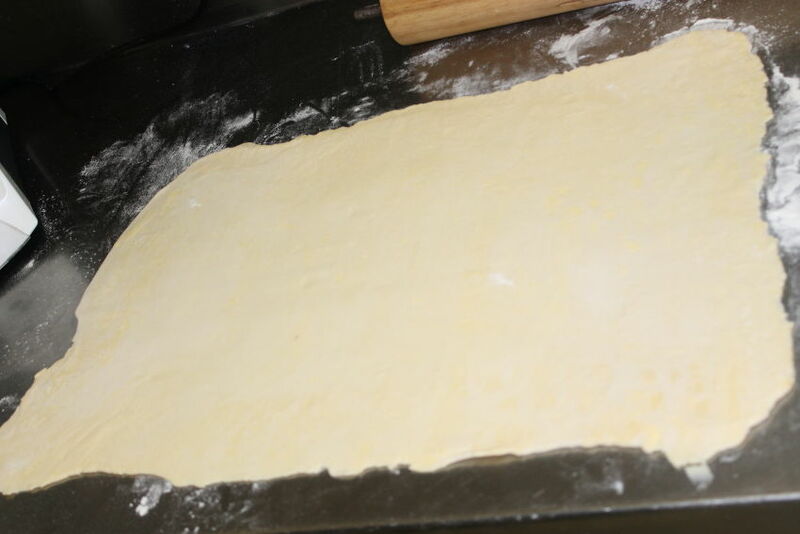 Roll out dough to a 10 x 30cm rectangle and repeat folding process as before. Cover with plastic wrap and place in the fridge for 30 minutes to rest. 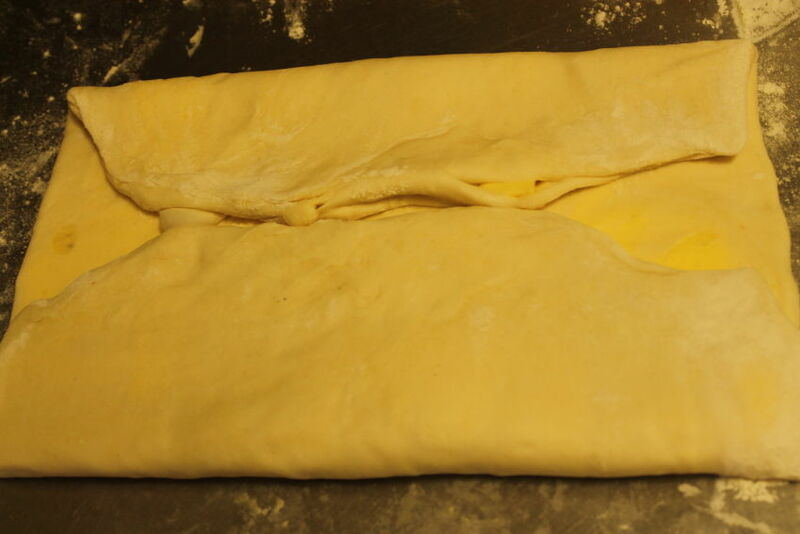 The pastry needs 4 full turns with at lease 30 minutes resting in between each turn in the refrigerator. 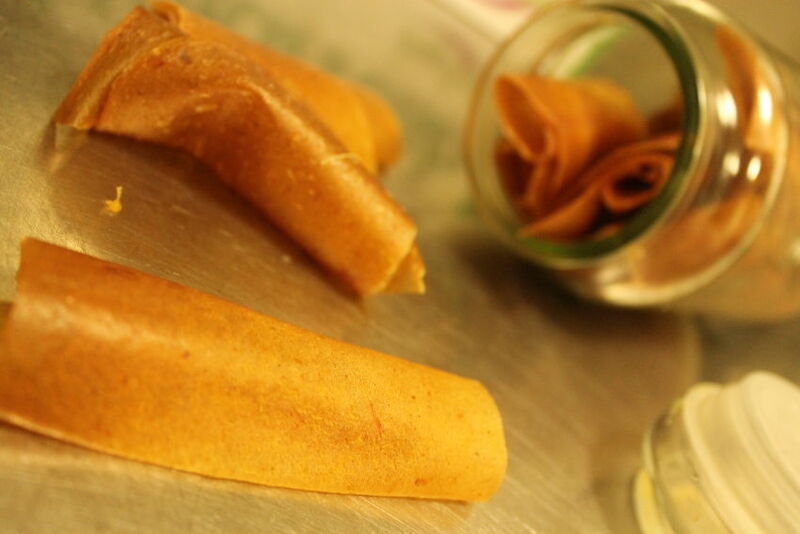 All fruit leathers are is cooked and puree fruit, dried out. Simple and the kids love them. I don’t add any sugar, you may want to depending on what fruit you are using.They should store for months on the shelf, its a little bit more exciting way to preserve some of our apples from our tree and other fruits rather than stewing and freezing them! You can use any fruit to make them and they can be dried out in a food de-hydrator, I will try this sometime, I have just dried them in the oven with the oven on about 90 C.
In the thermomix cut the apple off the core ( or whatever fruit you are using, take pips out of plums etc) , about 700 grams, blitz speed 10/ 10 seconds and cook 12 minutes/speed 2/ 100 C. puree for 1 minute and spread out onto a well oiled baking tray. and dry out about 8 hours in a 90 C oven. Stove top directions :In a pot chop the apples and simmer in a pot until cooked, puree and spread onto a well oiled tray and dry in the oven about 8 hours/ 90 C.
Like this recipe? 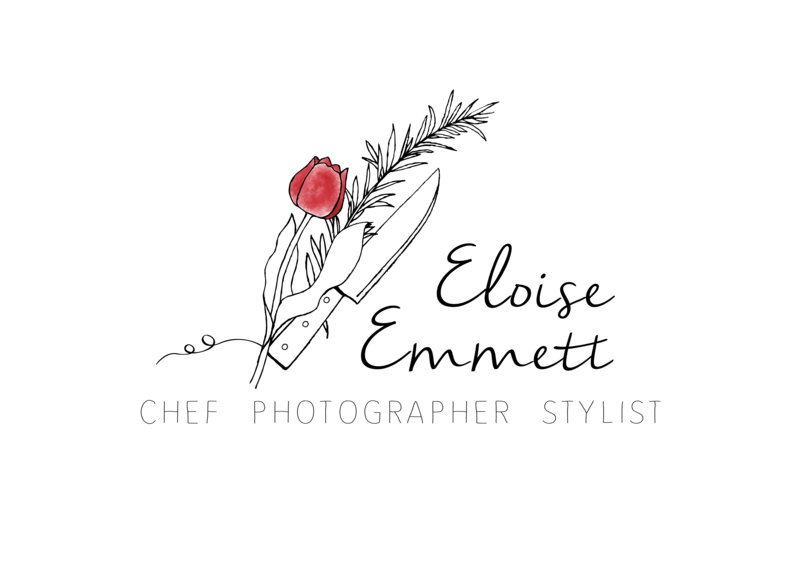 Please share it and find more of my recipes in my first book The Real Food for kids Cookbook.